Elite: Dangerous will be able to run at native 4K on Microsoft’s Xbox One X console, due to launch tomorrow and priced at $499. Michael Gapper, PR and Communications Manager of Frontier Developments, confirmed as much to Wccftech while adding the following details on the available modes and target frame rate. So, we’ve have added two new options for Xbox One X: Performance/Quality and 1080p/4K. We’re letting players tailor their own experience. We’ll have full details in the changelog when the update goes live. We’re aiming to have this update live for the official launch of Xbox One X. Elite Dangerous runs in native 4K @ 3840×2160 on Xbox One X if set to 4K mode. All I can say specifically regarding framerate is that Xbox One X owners will see greatly increased performance over a standard Xbox One whether they play at 1080p or 4K. We try to always give players the best possible framerate and adapt it to the content in the scene. This looks like it could be one of the biggest technical leaps when compared to PlayStation 4 Pro, where Elite: Dangerous runs at 1080p resolution with a Quality Mode improving Level of Detail, Depth of Field, Anti-aliasing, Ambient Occlusion, Anisotropic Filtering, Shadow quality and more. 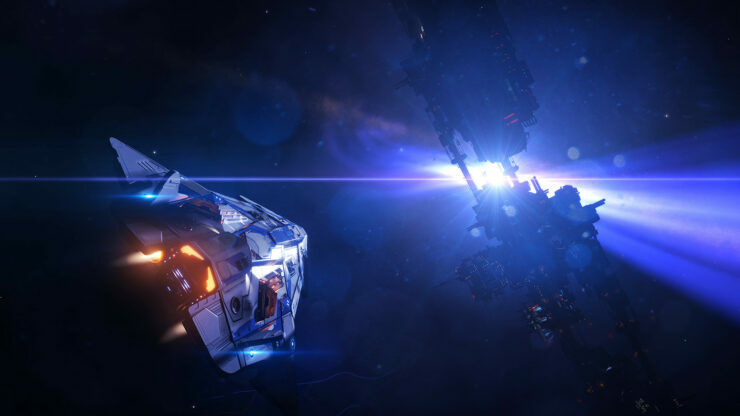 About a month ago, the UK developer announced the roadmap for Elite: Dangerous. The game is due to receive a Planetary Tech and Terrain rework, the addition of Squadrons (a clan-like system) as well as plenty of quality of life improvements. Of course, Frontier also promised “a ton of new ships” and the extension of the Thargoids story arc with new clans of the alien race to be introduced. Finally, both mining and exploration will be revisited with new tools and new activities being added. Are you still playing Elite: Dangerous? Let us know below.